West Side Single Story: Before & After Reveal! We launched Peach & Pine mid-May 2016 without a clear vision of what kind of projects would come our way. 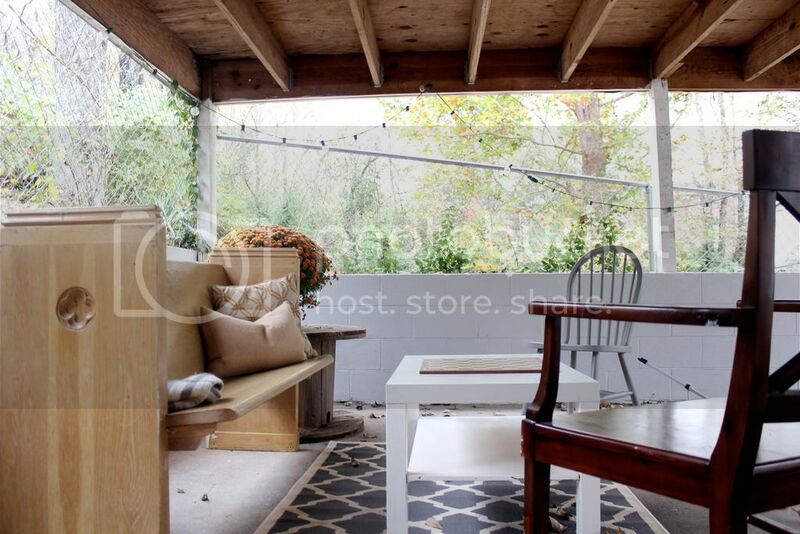 A couple weeks later, some friends of ours called and told us that they purchased a house in West Nashville (an adorable area called The Nations) that they were planning to use as an Airbnb (short term vacation rental home). 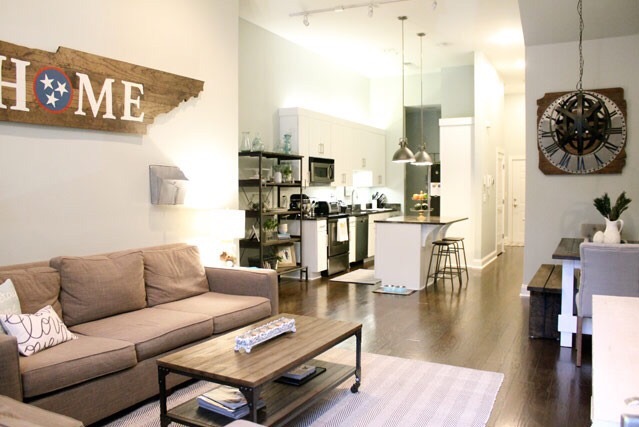 Because it is designed for visitors, it needed to be furnished, decorated and outfitted from top to bottom with everything Nashville tourists may need for a comfortable stay. They wanted to know if we would help them decorate, and I jumped at the chance. Yes! Furnish and decorate an empty house? No hesitation. So we set to work with a goal of having the whole place furnished in about 3 weeks. The main thing I forgot in this process was taking good before photos, so please excuse really incomplete photos in the "before." 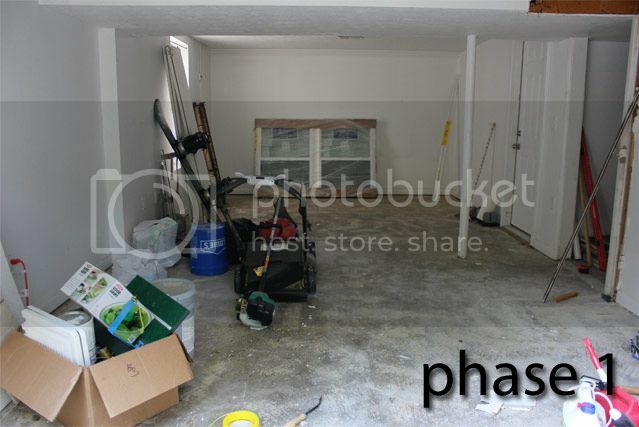 Honestly, I could post more terrible photos of empty rooms, but you get the gist. It was just an empty house. 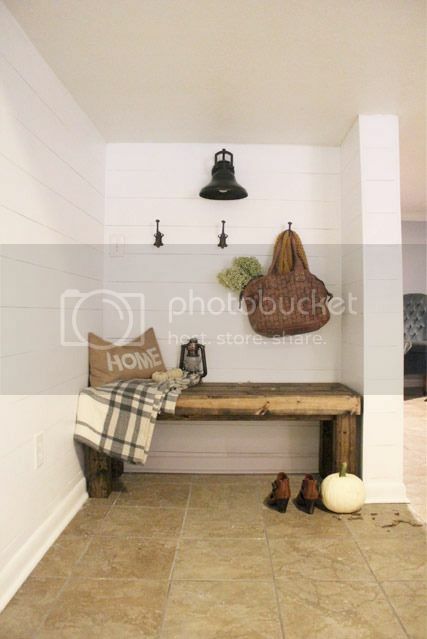 We didn't do any painting or construction, but we set out to create a Farmhouse Industrial style within a set budget and with a short time frame. I can't take all the credit for this. 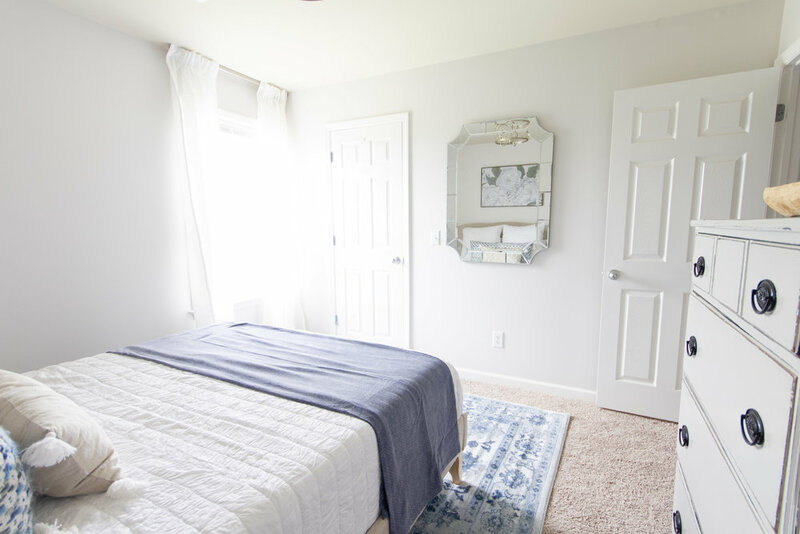 The homeowners, Katie & Josh, worked even harder than we did on all of the things that it takes to turn an empty house into a cozy and inviting place for guests. I'm so glad they let us be a part! So without further ado, here is the house we lovingly dubbed the West Side Single Story. Jeremy custom built that amazing bench seat. This house is designed to sleep up to 8 people, so we wanted to maximize seating space while leaving as much room for people to mill around as possible, and a banquette was the best way to do that. I have a love affair with banquettes. They are so cozy and always make a statement. The floors are really uneven in this old home, so we had to get creative with a banquette that looked built in and substantial but didn't come all the way to the ground (because the uneven floors would have posed a significant problem). I love the design he came up with because it mimics the beautiful base moldings. Can we just talk about those gorgeous coffered ceilings? I mean they're amazing, right? Pottery: Family Heirloom // TV Stand: Wayfair // Accessories: Target & Bargain Hunt. Jeremy also built that console table you see along the back wall. 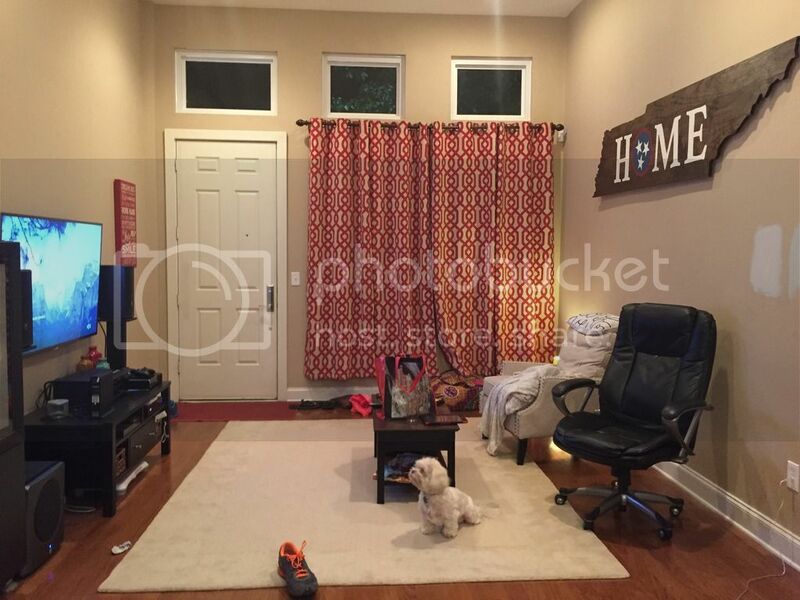 He mimicked a design we saw on Joss and Main, and it saved us $100! Come on into the master suite. This room is beautiful by itself because of the high coffered ceilings and the gorgeous hardwoods, and we wanted to enhance the existing beauty by creating a bright, white, romantic escape. In pursuit of efficiency and budget friendliness, we bought all of our mattresses on Overstock.com. They are memory foam and come vacuum packed. You unwrap them and let them expand. We sleep on one in our own bedroom, and it's great! You can't beat the $270 we paid for a king sized mattress! I fell in love with that gorgeous vintage dresser that we stumbled across at the Nashville Flea Market. It is such a unique piece; I wish I had a place for it in my own home! It didn't come with a mirror, but I found that mirror hiding in a trash pile behind one of my favorite antique stores (Three French Hens in Nolensville), and I dug it out and paid $10 to take it away. What a steal. Don't you love the touches of birds? So calming and peaceful. Thank you, free internet printables and FedEx office. Next up, the guest bedroom. This room used to be a nursery for the previous owners, and the cute stenciling on the wall adds a fun touch. We went with a little bit more modern style in this room to play off of that. There are some cute little nooks and crannies around this place that make it feel like a home away from home. 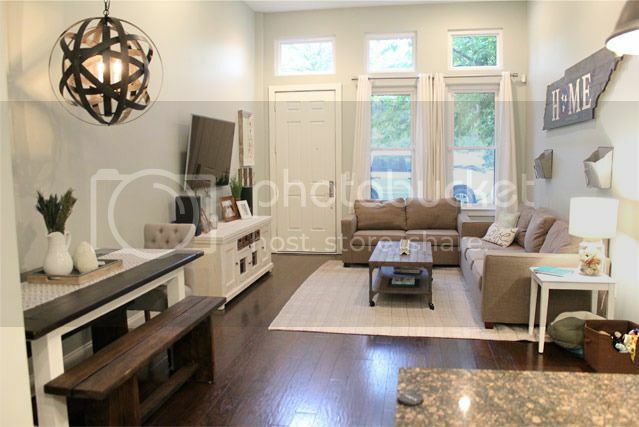 We had such a great time turning this empty house into the perfect short-term home for Nashville visitors. If you're coming to nashville, I think I have the place for you to stay! 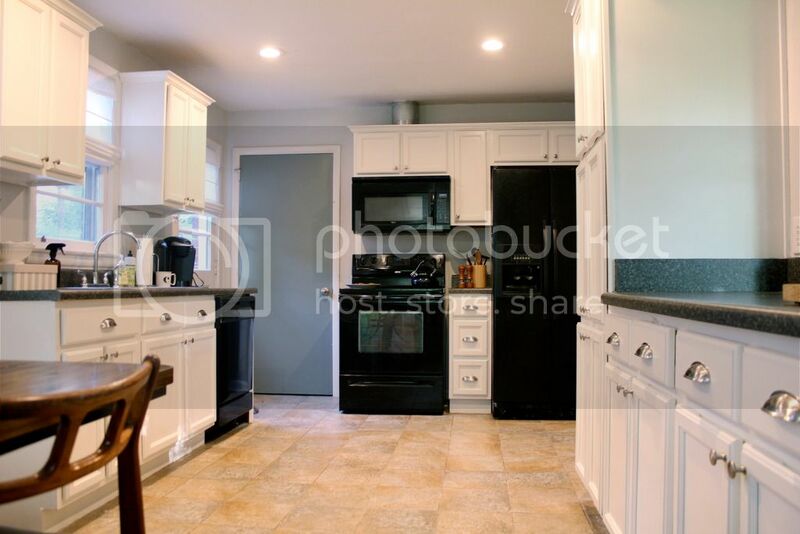 Check out this rental, and make yourself at home! When I think about summertime, I think light, bright, and colorful! Sunlight is in generous supply, flowers are blooming, clothes are colorful, and the world is fun. I love the changing seasons, and I also like for my home to feel like a reflection of what's going on outside. That is easy in the fall and around the Christmas season. 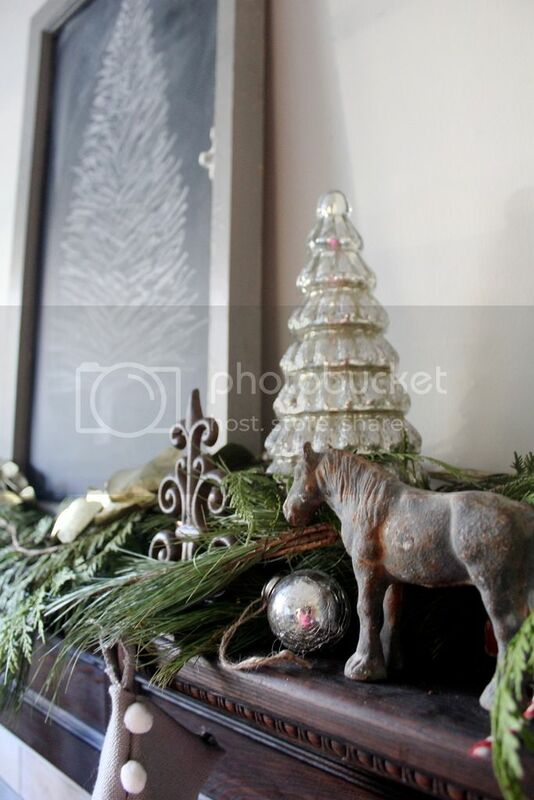 (See our 2015 fall home tour here and Christmas home tour here), but I feel like it's harder in the Spring and Summer. I'm not an easter bunnies and fourth of July flags kinda interior decorator, so what's a girl to do to make her home reflect the sunny, bright days outside? I came up with five subtle ways to brighten your home for the summer months without breaking the bank. Sometimes you just need to stop making excuses, go buy a $25 can of paint, and paint a room. This may not seem like a quick summer task, but when the summer hits and the world gets brighter, and then you go inside and feel like you've entered a cave, maybe it's a sign that it's time to go lighter or brighter with the walls. Some of my favorite options are a light, cool blue (try Feather Gray by Benjamin Moore) or bright white (try Cloud White by Benjamin Moore) or cool light gray (try Stonington Gray at 50% strength...also by Benjamin Moore). ...or by all means, pick some out of the yard! This doesn't even have to cost money, but a bouquet of store bought blooms or a handful of wildflowers (ahem...weeds) sitting on the kitchen table can go a long way toward adding beauty and bringing that summer joy inside! If you don't have any vases that you like, try a mason jar or a pitcher (like the photos above). Unconventional vases are my favorite kind! Pillows are one of the easiest ways to make a statement without doing any manual labor or expensive fixes. If you're using the pillows that came with your couch in a set, by all means put them away. That is a sure fire way to make sure your room looks generic and lacks personality. I love changing up and swapping out pillows as a quick way to give life to a space. Here are some of my favorite bright and happy pillows for summer! 4. Trade out the curtains for white. These IKEA curtains are literally $5 a piece. So cheap. And they are the curtains we have in our living room; you would never know they were $9.99 a pair. I believe in the power of white curtains. They work in almost any room. 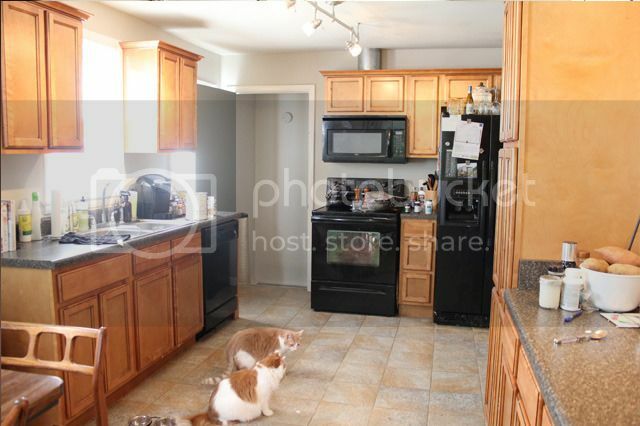 Especially in the summertime, you want all the daylight you can get streaming in through those windows. This is a quick and easy update, and you can easily switch them out for something darker or more substantial in the winter. 5. Make an artistic statement with some free printables. Download some easy free printables and then head on down to FedEx or Office Depot to print them off and frame them. You can hang them on the wall, put them in a frame on a console table, mantle or accent table, or you can even just hang them up on a bulletin board or taped to the wall with some washi tape. I have a few in my laundry room clipped to cheap Walmart clipboards on the wall. And I've used free printables to brighten up my cubicle at work...which is not an easy task. This huge resource of links to printables @ Remodalaholic. This patriotic printable @ Kristen Duke Photography. There you have it! Make a home you love with some easy, inexpensive summertime touches! And tell us about it on Instagram or Facebook! Simple floating nightstands for $10! As I've mentioned on social media and in our recent "What's Happening" post, we just finished furnishing a house that is being rented out as an Airbnb. 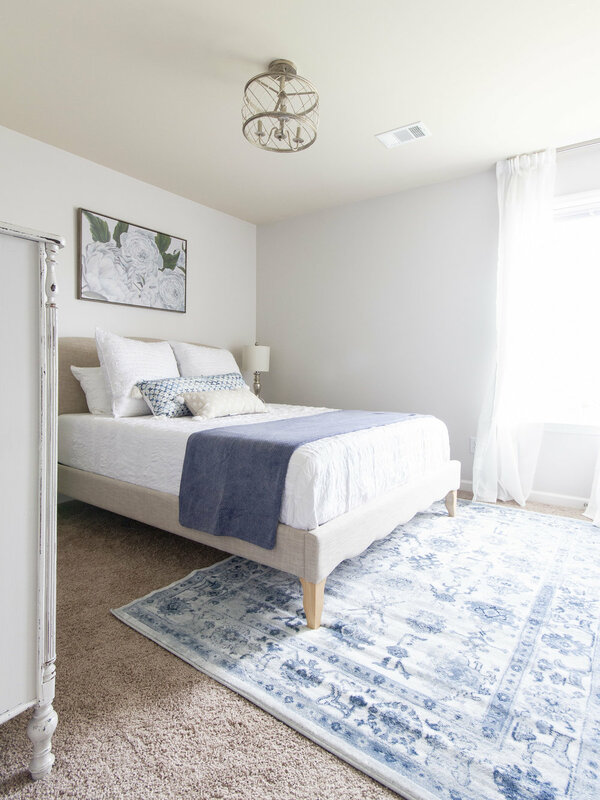 A full house reveal is coming soon, but first I am sharing one of the easiest ways that we saved money in furnishing this house. Our goals for the space were to create a warm, inviting, and beautiful space while keeping things within a tight budget. One of the places we saved was by using floating shelves in lieu of traditional nightstands. They only cost $10/piece, and they make a great, modern statement in a room! You don't have to sacrifice style to save a few bucks. For a bit of a more finished look, you can purchase unfinished stair treads in place of a normal pine board which has a rounded edge rather than a sharp flat edge of a normal board (link here). We were able to make 2 shelves with each $10 board. Next, we just used basic shelf brackets which cost less than $2 a piece. Be sure to purchase the hardware that's designed to go with the brackets (and probably hanging right next to them in the hardware store). For the stained shelves, we went with gray brackets. For the white shelf, we kept it cohesive with white brackets. Finally, decide if you want to go with a stained or a painted look. We stained for the guest room and painted for the bedroom. Different stain and color options can create so many different looks depending on your space! 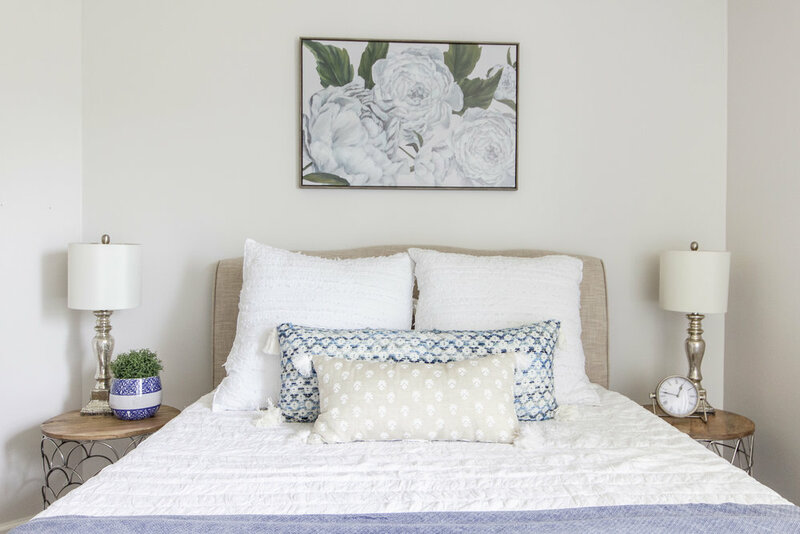 Hang them like shelves on level with the mattress for a quick and simple nightstand alternative that takes up less visual space, is clean and simple, and won't break the bank! And finally, here's a sneak preview of the two rooms! Be on the lookout for a full house reveal soon. How amazing are those coffered ceilings! ?